After the deaths of nine water birds from Avian Influenza in Delhi Zoo, Rajasthan State Government on Friday issued necessary directions to the field officers and asked them to take “precautionary measures” to check its likely outbreak in the state. Why Rajasthan needs to be on high alert? 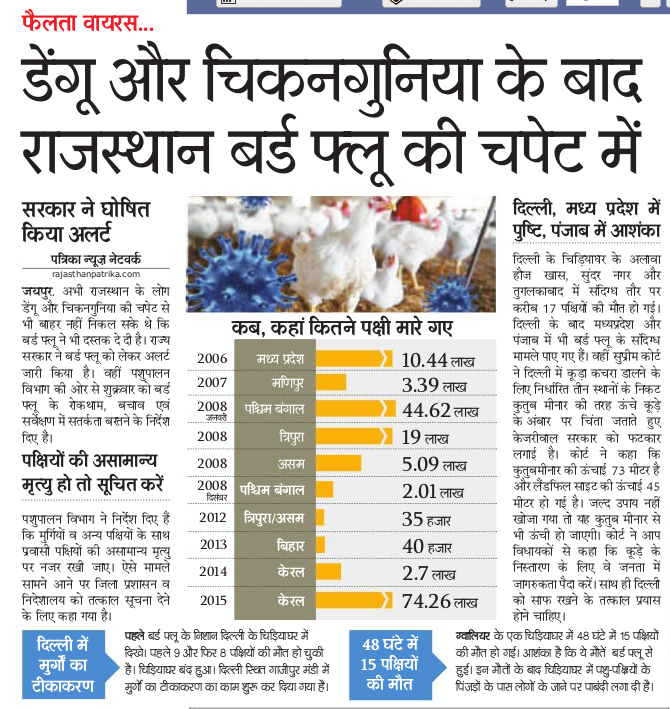 There is scale transportation of poultry and related products between Rajasthan and Delhi, and so there are high chances of disease making up to Rajasthan. Pakistan to which Rajasthan shares border has also reported cases of deadly virus. Rajasthan is a major destination of migratory birds. Keoladeo National Park in Bharatpur, Tal Chhapar Sanctuary in Churu and Darrah Wildlife Sanctuary in Kota are host to variety of migratory birds. 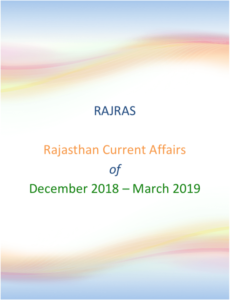 It is a season of migratory birds such as flamingo, greater flamingo, ruddy turnstone, eurasian spoonbill, river tern, great shank and ruff coming to Rajasthan. What actions did Government take? Animal husbandry department will strictly monitor health of migratory birds coming to the state from far-flung areas. Instructions have also been issued to immediately report if there are any migratory birds’ deaths in the state.